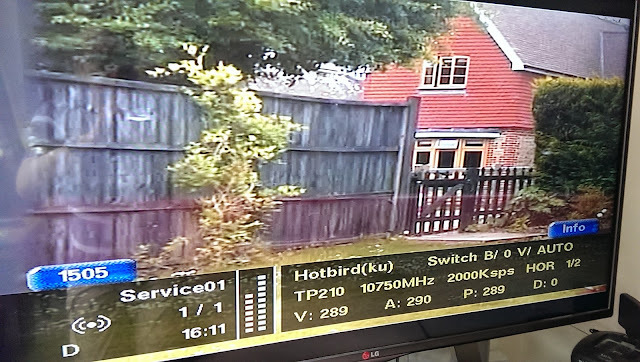 Did you try TX DVB-T2 with HEVC encoding in a 1.7 MHz channel? I didn't as digital amateur television in the UK uses MPEG-2/DVB-S. 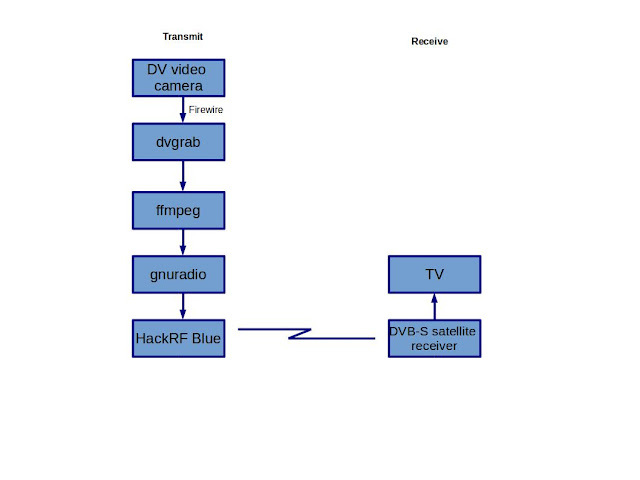 However, there is a DVB-T2 extension for gnuradio, if you can generate HEVC in ffmpeg (which I believe can be done) it should be a trivial exercise to achieve this. Hi Federico, this program works for me on xubuntu 14.04 and gnuradio 3.7.7 installed from pybombs. If you send me the full output I will look to see if I can spot any problems. My email address is in the 'About Me' section on the top right of the blog. Thanks a lot, i wrote you right now an email..! Hi can you multimplex the signal and add 2 webcams to one stream? I don't know. How you approach this would depend on whether you want to create a DVB mux with the webcams as different 'stations' or whether you want to join to images together and present them side by side.